*As for Kelly Candaele, who mysteriously – oooh – shares initials with Kent Conrad, Calbuzz was unsuccessful in repeated efforts to reach him to seek his views on health care reform, which seem to us at least as important as those of Mr. Dork from North Dakota. We strongly suspect that Candaele, a journalist, filmmaker and former labor organizer, (whose mother batted .290 in the women’s professional baseball league memorialized in “A League of Their Own” – you could look it up) is more of a single payer, public option kind of guy. Parsky Channelling Nixon? Calbuzz is picking up grumblings from some members of the Commission on the 21st Century Economy who are not happy with the Nixonian tendencies of the group’s chairman – Gerry Parsky the investment firm chairman who once served in (you guessed it) the Nixon administration. Or check out the correspondence from Steve Levy from the Center for the Continuing Study of the California Economy. Steve, one of the smartest guys in California, suggests to Parsky et. al. ways to evaluate various tax proposals and asks how the commission intends to do this. But has Parsky or anyone responded to Levy? Nope. Paging Rodney King: Calbuzz readers gave major props and style points to Garry South, Gavin Newsom’s chief consultant, for his well-honed one liner in our post about Jerry Brown’s expansive views on abortion the other day. It’s on: Not since Madonna’s smack down with Paris Hilton over Kabbalah has there been such an intriguing match-up of big-name narcissists as the potential U.S. Senate brawl between Barbara Boxer and Carly Fiorina – both of whom probably thought that song was about her. Fiorina’s self-aggrandizing style has been well chronicled in stories about her destructive reign as CEO of Hewlett-Packard. And Boxer, whose shameless self-regard recently popped out in her public dressing down of a Pentagon officer who dared call her “ma’am” instead of “Senator,” has recently written yet another cheesy political thriller that admiringly focuses on her alter ego, Ellen Fischer (guess who’s the “honest, tough and energetic” U.S. Senator?). Whoa – peeping legislative posturing makes you hot? Duuude! Carla Takes On Carly: As a novelist, Boxer is, um, a really good politician. No matter what you think of her, she certainly paid her political dues, as a county supervisor and a member of congress, before stepping up to run for Senate, unlike Fiorina. Yet from Boxer’s first, down-to-wire campaign against the mercurial Bruce Herschensohn in 1992, she has been routinely underrated by Republicans. Every six years, they think they’ve found the guy who can knock her off, and this time out, Fiorina is the guy being anointed by establishment GOPers such as Texas Senator John Cornyn, chair of the Republican Senatorial campaign committee. Unlike some of the other stiffs that Boxer’s vanquished, Fiorina at least will offer her a serious challenge in the swollen head sweepstakes. Be that as it may, the famously failed and fired CEO Fiorina does know a thing or three about product launches, so the rocky roll-out of her nascent Senate candidacy this week can’t have pleased her very much. For starters, there was this roundhouse right attack by party rival Chuck DeVore, whose slashing style makes Steve Poizner look like the Dali Lama. Then came a total takedown by the ubiquitous Carla Marinucci, who added to her previous reportage about Fiorina’s spotty California voting record the new news that the would-be Senator never voted in the 1980s and 1990s, when she lived in Maryland and New Jersey. “Fiorina strongly disputes the voting records as ‘just wrong,’” an unfortunate spokeswoman for Carly told Carla. Yeah, well, Calbuzz strongly disputes our birth certificates as “just wrong” too, but that don’t make us young. 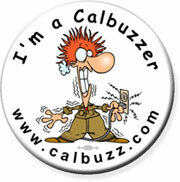 Calbuzz early line: Give the points and take the incumbent. Speaking of entitlements: It’s disappointing to learn that San Francisco Mayor and wannabe governor Gavin Newsom views as a state secret the public costs of the cops who follow him everywhere, including on his campaign travels. Let’s be clear that we don’t begrudge Newsom a round-the-clock security detail, especially given San Francisco’s history of violence against public officials. But refusing to disclose the bill taxpayers are footing, on top of his years-long resistance to releasing his daily mayoral calendars, suggests a petulant disregard for transparency in government, a troubling trait for an elected official at any level, let alone a governor. The mayor’s office contends that releasing such information could compromise Newsom’s security and put him at risk, an argument that doesn’t seem to fly with the U.S. Secret Service or other big city mayors. The Prince of Pride’s obstinacy on the issue has won him an extended beef with S.F. Supe Ross Mirkarimi, who’s sponsoring an ordinance that would not only make the mayor disclose how much his personal protection on the campaign trail costs taxpayers, but also require him to reimburse the city for the politicking portion of his security bill. Press Clips: Not sure who Tom Campbell knows at the Journal, but he got himself a big sloppy wet kiss this week trumpeting his bid for the Republican nomination for governor, in which a whole brigade of unnamed “analysts” offered a rosy view of Dudley Do Right’s chances…The always worth reading Nate Silver offers a forecast that should keep Nancy Pelosi awake at night — “While the Democrats are not extraordinary likely to lose the House, such an outcome is certainly well within the realm of possibility” –- over at FiveThirtyEight.com… Check out California’s Capitol, where Deadhead Greg Lucas turned off the iPod long enough to analyze the true shakiness of the just completed budget deal. There’s one simple reason why the White House has rushed so aggressively to try to knock down the story that Barack Obama is backing away from his support of a public option for health care: if he does retreat on the issue, he risks trashing the political viability of his entire presidency. Over the weekend, both Obama and Kathleen Sebelius, the Secretary of Health and Human Services, made weasly comments about the administration’s commitment to a public option policy that led even some of the president’s staunchest supporters to denounce his waffling. Having raised the specter of ignominious political surrender himself, Obama sent press secretary Roberts Gibbs into the White House briefing room to – wait for it – blame the media – for manufacturing a story. He insisted that the president’s position has not changed on the most crucial issue in the reform debate, namely to provide a system of medical care for the uninsured and underinsured as an affordable alternative to the private insurance industry. The public option flap is just the latest evidence of how Obama and his posse, after running one of the most consistent and effective campaigns in history, have badly botched the communications strategy and framing tactics in the battle over a defining issue of his presidency, undercutting in the process fundamental elements of the message of change that got him elected. Special interests – As a candidate, Obama vowed to fight powerful and entrenched interest groups whose influence and money routinely cripple reform and determine the fate of legislation in Washington. 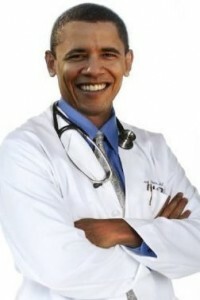 Just eight months into his term, Obama is causing concern among allies who back the public option (as a less attractive alternative to their true preference for a single payer health care system) that he is preparing to cave in to insurance companies, after earlier cutting a deal with the pharmaceutical industry, another Beltway blue chip special interest. New politics – While often ill-defined, Obama’s “yes we can” campaign message had two fundamental carrot and stick elements: a goody-two-shoes call for the bipartisan putting aside of status-quo politics and ideological polarization, coupled with a strong, clear and consistent attack on failed Republican economic policies that worshiped markets and business interests. In the political fight of his life, Obama has been putting his energy and emphasis almost exclusively on the can’t-we-all-just-get along aspect of his message, in a desperate bid to pass a bill – any bill – that he can spin as an alleged victory, even if represents right-center policies and politics. With Democrats in the rare position of controlling the White House and both houses of Congress, however, he needs to stop singing kumbaya and start busting some heads by fighting fiercely for the populist – and, yes, partisan – principles that led millions to support the progressive promises of his campaign. And that means taking on, not just the other party, but some of the obstructionist Senators in his own party like Kent Conrad and Max Baucus, a couple of self-important narcissists who each represent a no-account state with about 12 people that Obama’s never going to win anyway. Authenticity – Candidate Obama decried sound bite politics, repeatedly vowing he would tell Americans the truth, even if it was unpleasant, contrasting the integrity of his outsider stance with the Beltway insider images of rivals Hillary Clinton and John McCain. Now, instead of giving hell to the special interests and right-wingers in Congress, President Obama too often passively abides their lies and demagoguery while resorting to Clintonian hair-splitting and legalisms in trying to finesse his position on the public option. If he succumbs on this issue, the disillusionment and dismay among his own supporters that would accompany a retreat could not only fatally weaken him on Capitol Hill, but also put the issue of his re-election very much in play. And if there’s any question that Obama himself – and not the media – set off the firestorm on public option, check out Jon Stewart’s take, characteristically complete with the most telling video clips. Health reform resuscitations: Nate Silver has a smart post on a post-public option political landscape while Victoria Colliver of the Chronicle has a good Q&A primer on health care reform here and the Times offers a useful glossary for following the debate here. Every time we see a suggestion that millionaire former Controller Steve Westly might jump into the 2010 governor’s race (which – Yo Willie! – isn’t happening*), we’re reminded of the last time he and Jerry Brown sought the same office. The year was 1988, and Brown big footed his way into the race for California Democratic Party Chairman, which had been looking like a sure thing for Westly. Brown scooped up endorsements from abortion rights leaders, including Nancy Casady of the California Abortion and Reproductive Rights Action League, U.S. Sen. Dianne Feinstein and U.S. Rep. Nancy Pelosi, among others, and the issue did not surface again. As a political matter in the 2010 governor’s race, the episode is unlikely to pose trouble for Brown on the policy issue of abortion — but it could be used to illustrate and underscore his reputation as a political chameleon who has re-invented himself countless times. “I’m completely focused on being the best father I can be and building one of the best clean-tech venture capital funds ever created,” Westly said. Of course, he added, he’s hoping to run statewide some time in the future. But now’s not the time.